This album is a rare moment to cherish and enjoy every second of. 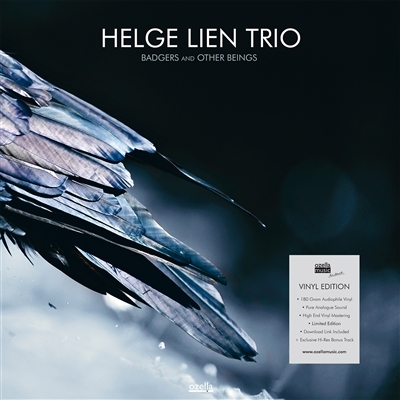 Awarded Norwegian pianist Helge Lien and his band developed their very own, distinctively nordic, jazz trio sound, brought to perfection on their latest, highly acclaimed release “Natsukashii”. The ten new compositions are exploring new ways for the reflexive and experimental, as well as the playful, groove orientated side of the trio’s music. After 13 years, Per Oddar Johansen takes over from Knut Aalefjær on drums, bringing new ideas and power to the band. It’s the world class songwriting and musicianship, as well as the stand-out production that make “Badgers and other Beings” an unmissable experience for both jazz fans and audiophiles.